Courses include real-world business experiences: consultancy projects, live briefs, work placements and business games. A comprehensive programme equivalent to Year 1 of an undergraduate degree for international students with additional English for Academic Purposes. offering progression to Year 2 of Business degrees. With placement opportunities in the third year, this course is the ideal first step for a career in business. This course introduces the practical and theoretical skills of accountancy as well as an introduction to business management. With placement opportunities in the third year (including the opportunity to develop your own business idea), this course is the ideal first step for any budding entrepreneur. This course covers all aspects of successful financial management. You'll have the opportunity to go on a relevant industry placement in your third year. This course is for those serious about starting their career in marketing, and you'll have the opportunity to undertake a placement in your third year. This course develops the skills need to be a successful project manager. You'll have the opportunity to undertake a placement in your third year. This apprenticeship is relevant to all industries and both new and existing staff. Apprentices become affiliate members of the Chartered Management Institute for the duration of the course and earn a BA in Business Management with Business Practice. For those students who already hold the first two years of a degree or equivalent, this course provides you with a detailed understanding of business management from an international perspective. This is a bridging course; it’s for those of you if you who wish to do a business-related degree but don’t quite meet the entry requirements. 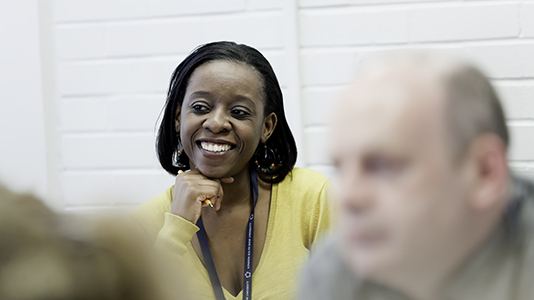 The LSBU Master of Business Administration International Management course is an exciting, dynamic, applied programme that prepares students for successful careers in global cross- sector business management. Project Management is a growing profession that contributes to the overall success of any business. This course will provide you with the necessary skills and knowledge needed to successfully manage projects. Become a more effective business operator and decision-maker with this in-depth Masters course. Become a more effective business operator and decision-maker with this in-depth Masters course. A placement experience contributes to the course. Develop a deep understanding of the business world, with a focus on international finance. Focus on business and marketing in an international context. Become a more agile project manager and deepen your understanding of business in an international context. Develop your academic English and study skills for your degree course plus social and cultural activities to become familiar with London.